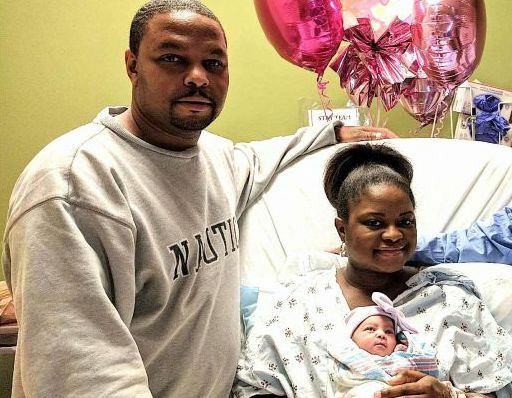 Schmekia Tate and her husband, Demetrius, welcomed their daughter Makailyn just 36 minutes into 2018. Makailyn was the first baby born at Piedmont Fayette Hospital this year. The couple lives in Hampton. The two hospital personnel at right were not identified. Photo/Piedmont Fayette Hospital.